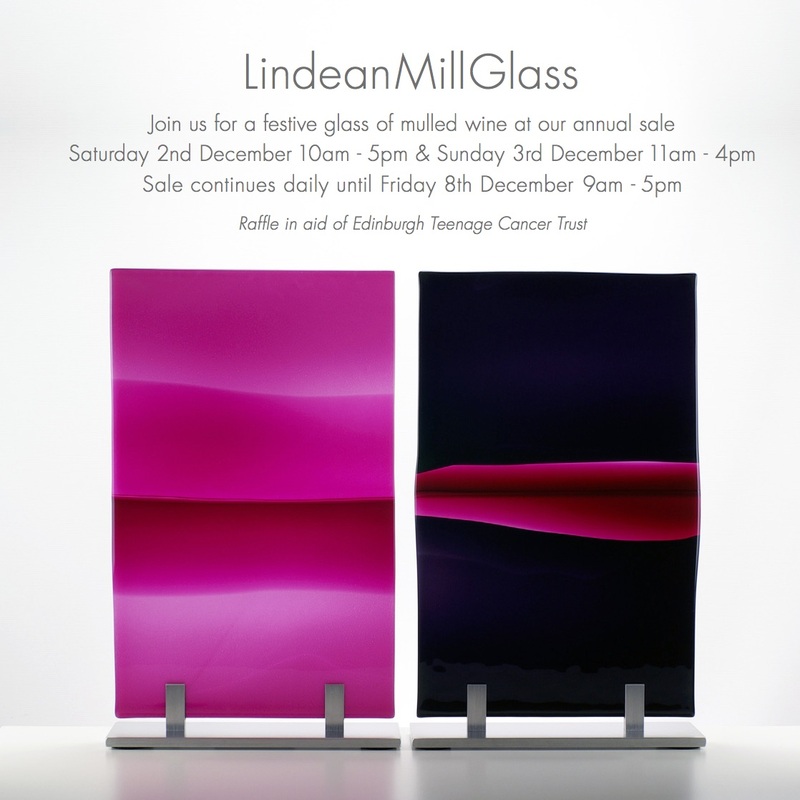 Welcome to our sale, with 20% off all tableware and a chance to win a set of glasses in aid of the Edinburgh Teenage Cancer Trust. 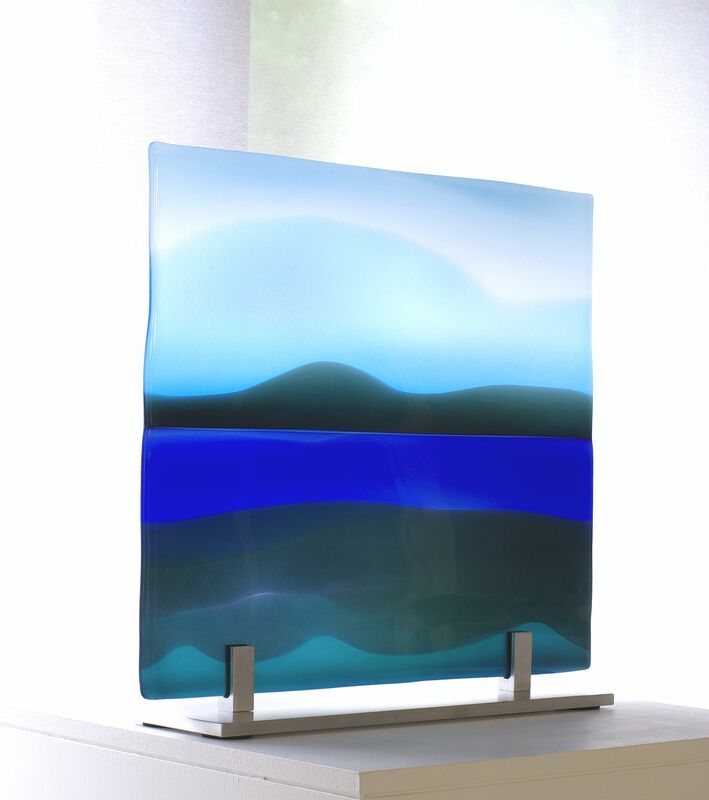 We are proud winners of the Gallery TEN prize for The Scottish Glass Society’s annual exhibition. 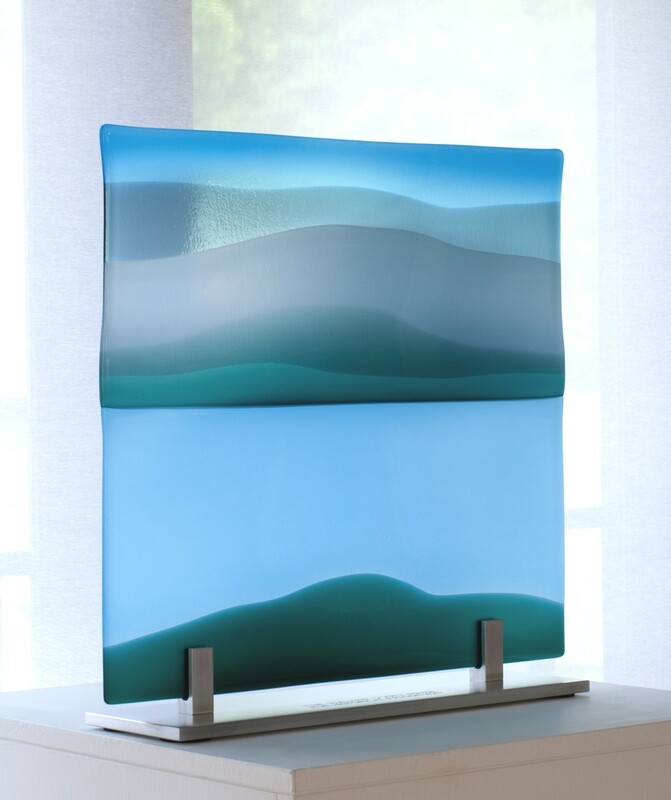 The new glass panel titled “Ebb & Flow” is a well-conceived and designed work of the highest quality; it is both elegant and sophisticated. 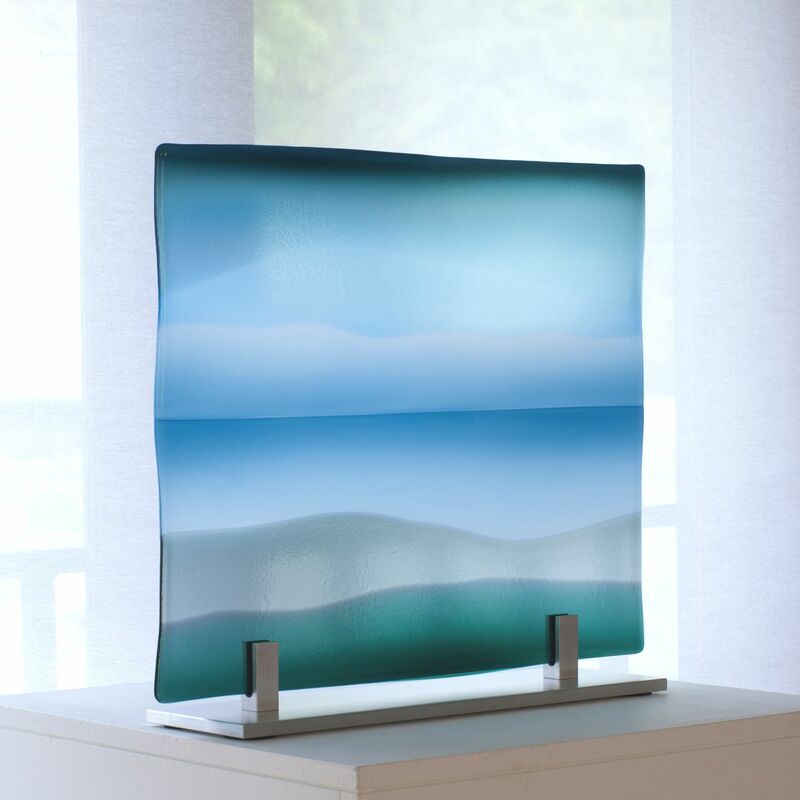 The combination of blown glass and kiln techniques is a highly skilled approach to a seemingly simple object. The narrative of the Scottish and Scandinavian landscape is put across beautifully. 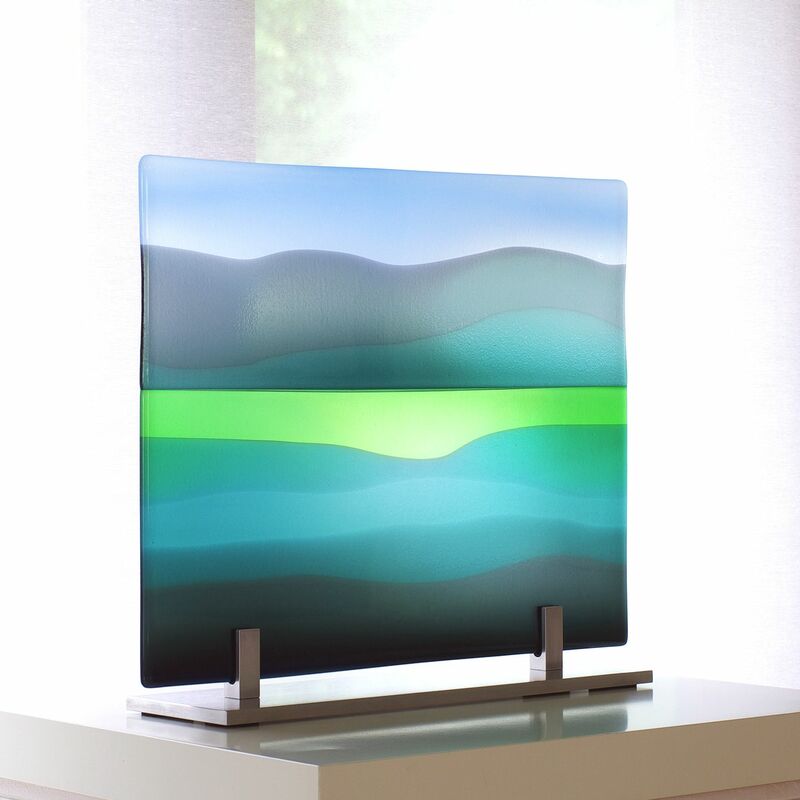 The prize of a gallery show during 2018 will be a fitting culmination of Lindean Mill reaching their 40th year as glass makers based in Scotland and their continuing commitment to producing work to the highest possible standards. 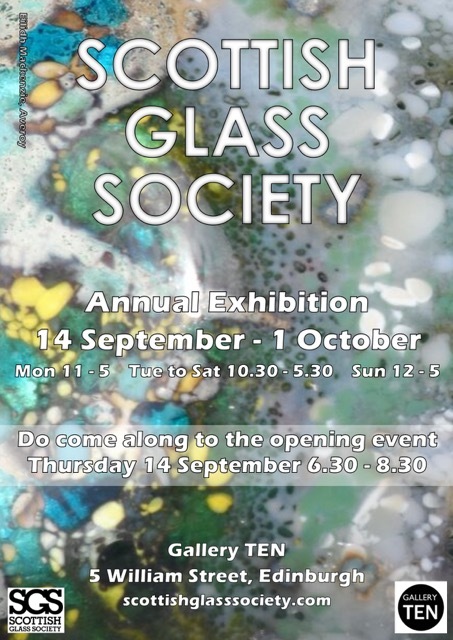 This year’s Scottish Glass Society Exhibition ‘HERITAGE’, will be showing at the new Gallery Ten space, in Edinburgh. 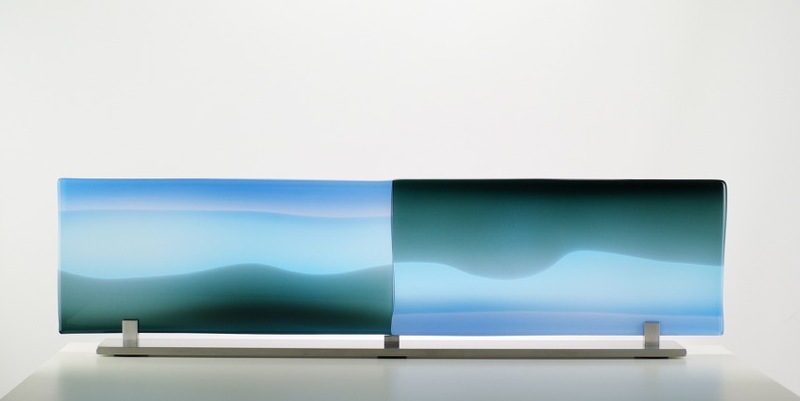 We will be exhibiting glass panel ‘Ebb & Flow’ which was made specially for this exhibition. This exhibition highlights the contemporary ranges of beautiful handmade functional tableware that is being produced across the UK. 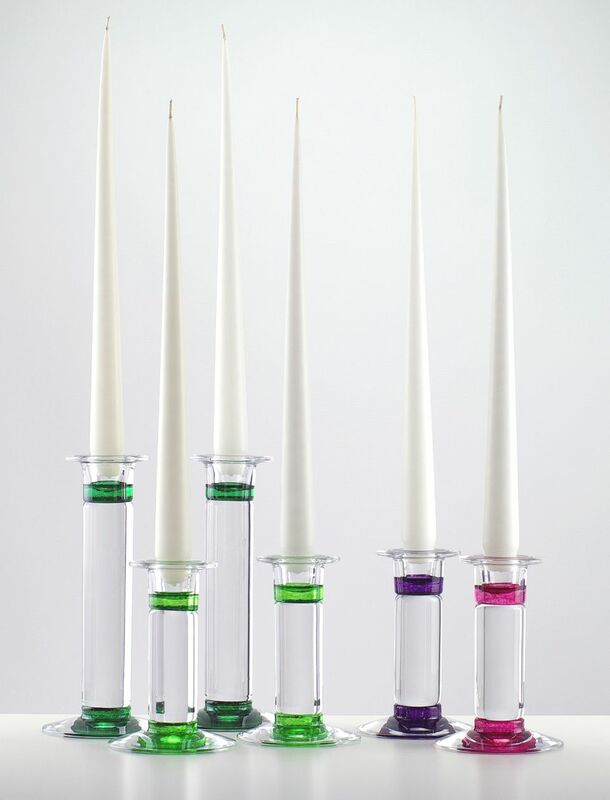 A chance to see and purchase our Optic range glasses, jugs and carafes as well as candleholders. 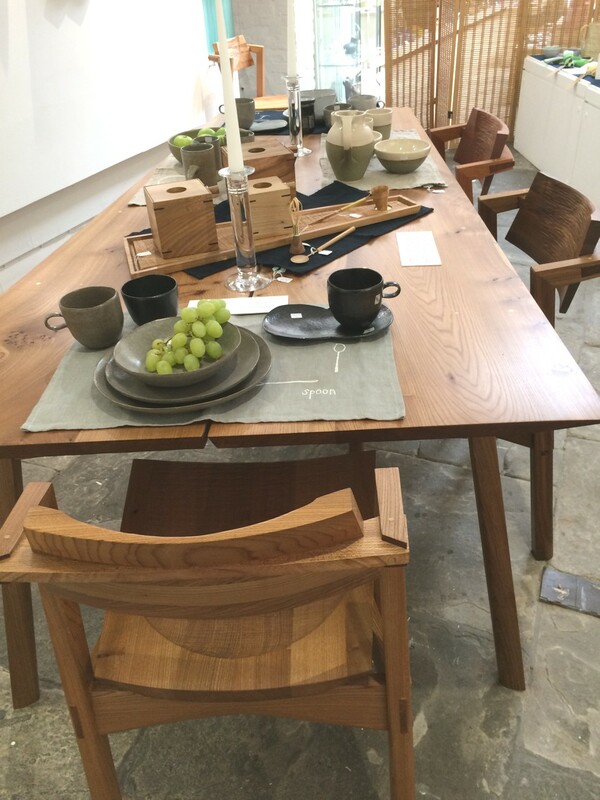 The dining table also include ranges of complementary table linen and utensils in wood and metal with furniture by leading makers. 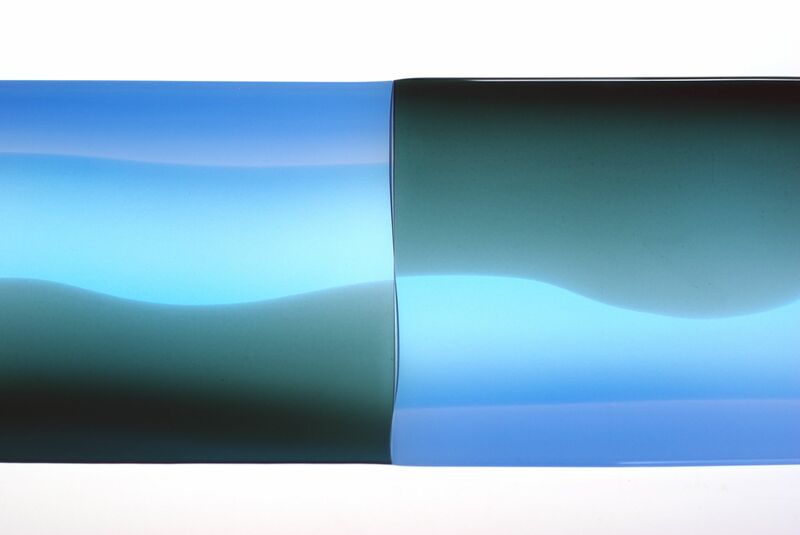 Clod & Pebble, Emily Doran, Dove Street Pottery, Helen Faulkner, Teresa Green, Miriam Jones, Lindean Mill Glass, Hugh Miller, Marged Owain, Pottery West, Jane Sarre, Charlotte Storrs, Kaori Tatebayashi, Michael Taylor, Christine Toh and Sarah Went. These two talented women have created a beautiful exhibition in homage to Judy Chicago’s The Dinner Party. Theirs, The After Party, is an installation for 13 ‘invited guests’, each with their own table setting as sculptural objects made of glass. The women ‘invited’ by the artists have been their role models and inspirational figures and I am honoured to have a place at the table. Thank you Evelina and Kristin! 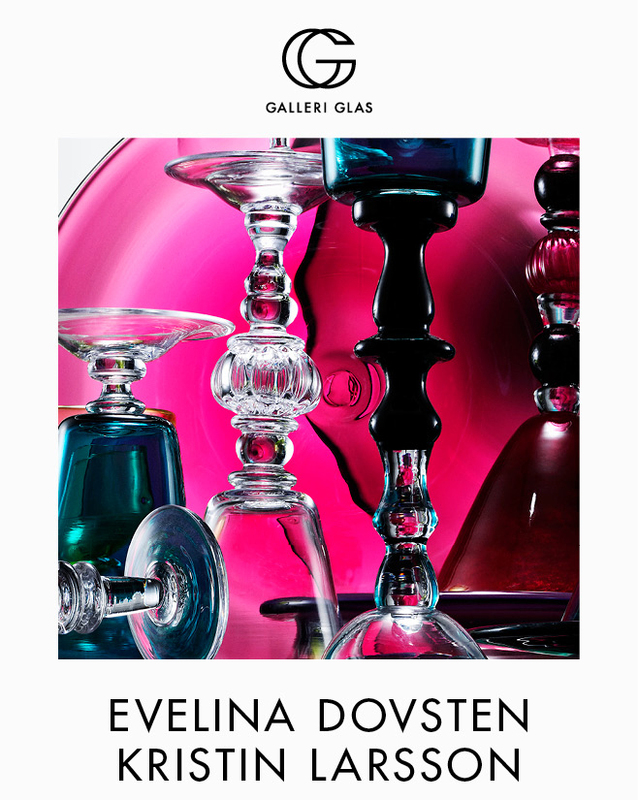 The exhibition is on until 19 August 2017. 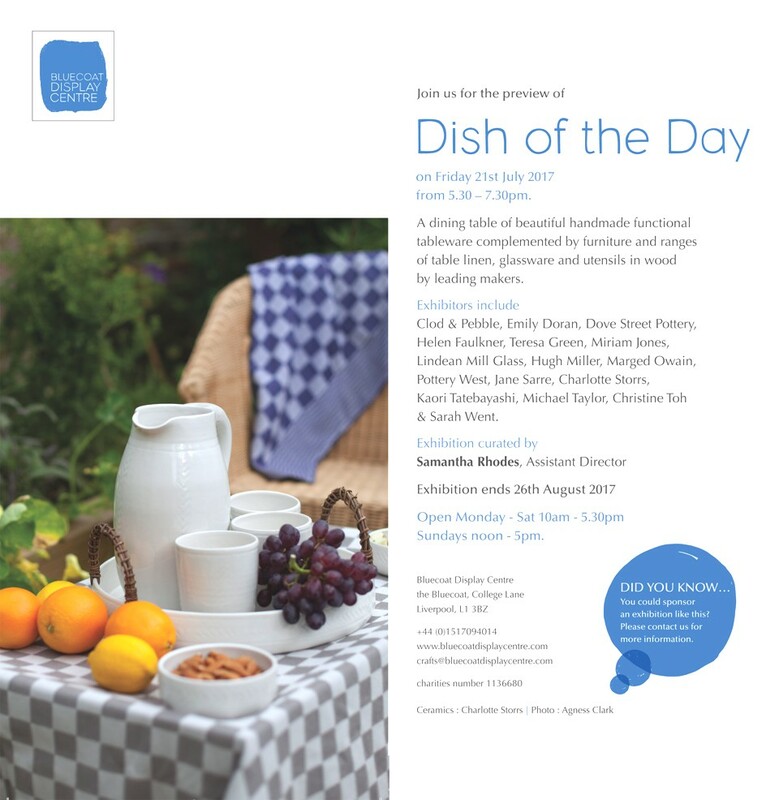 We are looking forward to taking part in this exciting exhibition, showing our tableware in a domestic setting with other makers. Congratulations to Sebastian Barry who has won the eighth Walter Scott Prize for Historical Fiction, for his epic American novel Days Without End. 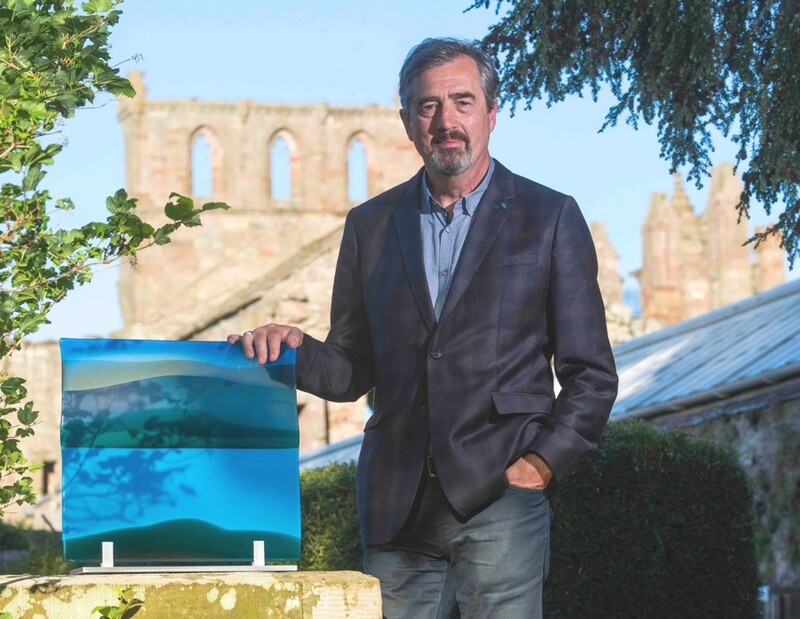 Sebastian Barry received his £25,000 cheque and a specially-commissioned glass trophy depicting the rolling landscape of Sir Walter Scott’s Border country, from the Prize sponsor the Duke of Buccleuch. 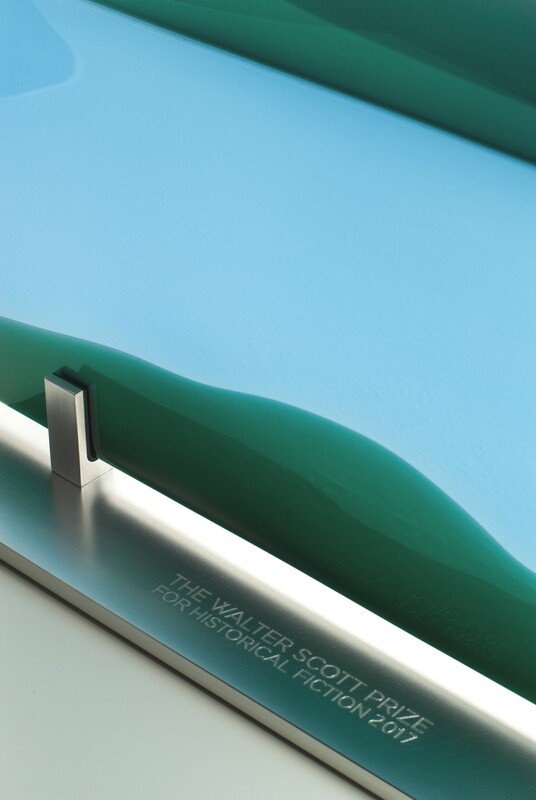 The Walter Scott Prize for Historical Fiction will be announced by its sponsor, Richard Buccleuch, at the Borders Book Festival on Saturday 17 June. Sebastian Barry, Charlotte Hobson, Hannah Kent, Francis Spufford, Graham Swift and Rose Tremain.